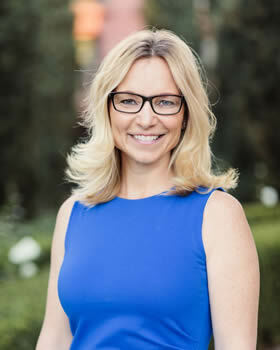 Jennifer Wies-Brown, a Bay Area native, was born in Walnut Creek, California approximately 40 miles from San Francisco. Her background includes over 28 years of hospitality, meeting planning and destination management experience. She began her hospitality career by working with Marriott International during college. Afterwards, Jennifer moved to Europe and took up an assignment with Norwegian Cruise Lines, where she spent four years managing various destination programs that took her to Scandinavia, the Mediterranean and South America. In her role as international tour manager, Jennifer was responsible for selling, coordinating and operating the daily excursions for 2,200 guests per cruise. After her world tour, Jennifer decided to return to the Bay Area to be close to her family. With years of destination experience and a passion for the Bay Area and its history, she knew she wanted to work in destination management in San Francisco. In the years since returning, she has successfully managed hundreds programs and continues to share her knowledge, creativity and professionalism with all of her clients.